Title :keep the title under 66 characters and relevant to the content on the page. Behavioral-targeting and using Long Keywords are good way to get higher ranking for keywords that generate sales, and will give excellent search results. Description: get your most important keywords into your homepage title and meta description. The popular Apache server has an extension called mod_rewrite that can do this for us. Users of Microsoft's Internet Information Server (IIS) should check out ISAPI Rewrite. Both are powerful but have a complicated syntax. Relevance : Any word used in the title and meta tags of the page in question should be included within the text content of the page. H1 - H6 tags - the text you include in this tag will be taken into account for the contents of the page.H1 being the most important and so on until H6. Outbound Links - An outbound-link (OBL) is a link from your website to another website. Outbound links can add value to your site by providing useful information to users without you having to create the content. It is difficult for a single website to be comprehensive about a subject area. At the same time outbound links are a potential jumping off point for users and also provide PageRank for the target page. Be careful about linking to a website with low page rand as this can low your website page rank. These include LinkFarms and heavily optimized sites. These may get your site penalized. An inbound-link (IBL) is any hypertext link from an external website to a page on your website. 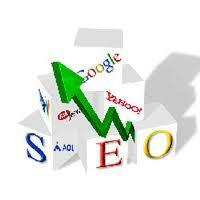 They can increase your ranking in search engine results pages for queries using the keywords in the link anchor text. Inbound links from a site already indexed by a search engine will enable the robot to find your site during the normal indexing process. Each inbound-link represents a possible entry point to your website, increasing the frequency and depth of indexing. Use the bold tags around some of your keywords on each page. Do NOT use them everywhere the keyword appears. Once or twice is plenty. If you must have image links in your navigation bar, include also text links. However, make sure the text links show up first in the source code, because search engine robots will follow the first link they find to any particular page. They won't follow additional links to the same page. Intead of simply giving a url, anchor it to a meaningful Title.